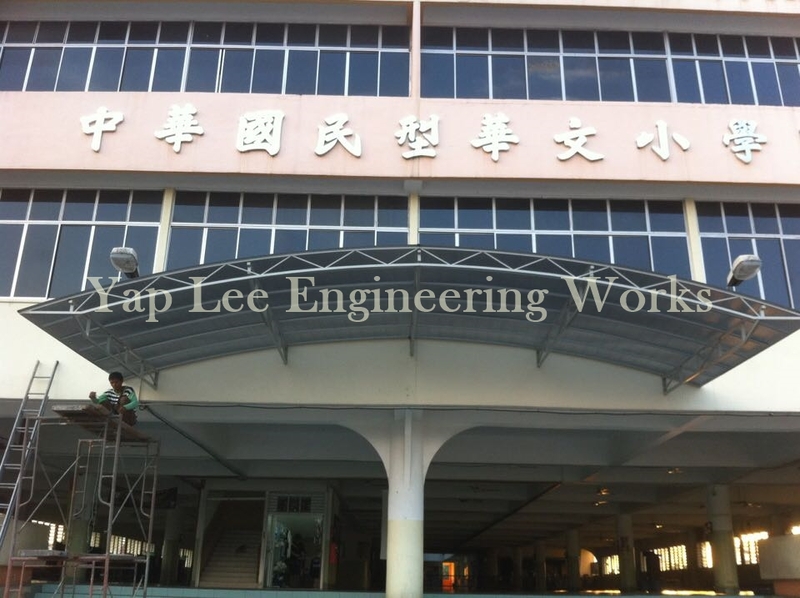 Our metal awning specialist in Malaysia supplies is available to offer all clients with various ready-made or customize designs for all buildings in Malaysia. Our awning contractor Malaysia provides stainless steel awning system and other materials such as steel awning, aluminium awning and copper awning system. Our metal awning system is the best choice as it is inexpensive, very well coated for weather resistant, rust resistant, low maintenance and it is highly durable to withstand harsh rainy days. Our stainless steel awning system has various designs such as flat, wedge, dome, shell, concave or bell shaped and you can choose any colours in coating your metal awning for your buildings in Klang Valley and Kuala Lumpur, KL, Malaysia. Speak to our professional awning contractor in Klang Valley now for consultation on metal awning system and stainless steel awning system of residential or commercial buildings in Klang Valley, Kuala Lumpur and Selangor, Malaysia.